Posted By:Unknown | At:2:21 PM Be the first to comment! 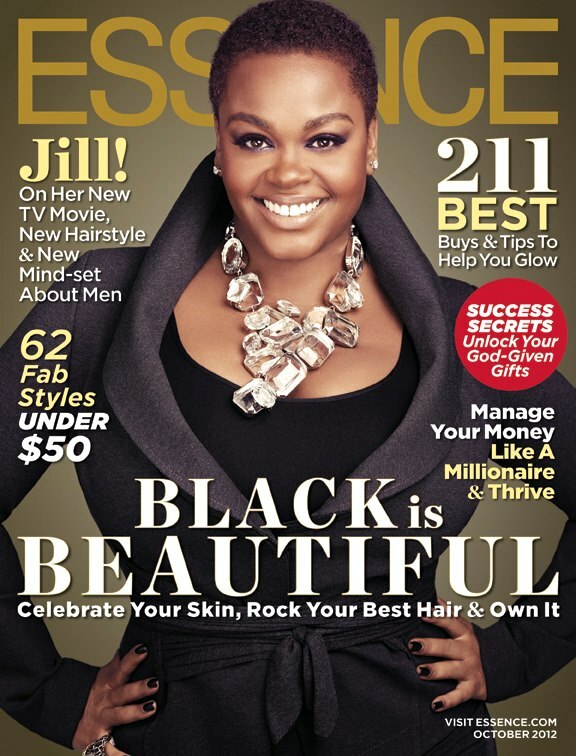 Jill Scott is slaying on the October cover of Essence magazine. I'm a huge fan and trust me when I say I love everything Jill Scott, but I'm so over Essence putting the same chicks on its cover. I swear if it isn't Mary J. Blige then it's Jada Pinkett Smith or Nia Long on the cover. It's without fail. I realize we don't have a plethora of women of color in the entertainment field, but there are a whole lot more than the ten Essence choses to highlight ever year. I mean can they please put Joan Smalls or Tika Sumpter on the cover. Or how about Janelle Monae or Ledisi? Hell they can even put Meagan Good on the cover and I would be happy. At least it would be someone who's never been on the cover before. I expect the mainstream magazines not to celebrate our diverse talent pool but I have a hard time when it's magazines that supposed to cater to us that refuse to highlight our vast talent. We complain about black models not being given a chance to become household names, but even magazines geared towards us don't place them on the cover.